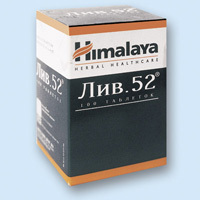 Liv-52 is touted as one of the best liver protection products available. Made by the Himalayan Drug Company it is design to everyone from oral steroid users to people with hepatitis and liver dysfunction. Hepatic damage due to alcohol, chemicals etc. 3 or 4 times a day 2 or 3 tablets before meals or half an hour after meals. 3 or 4 times a day 1 or 2 tablets. Improvement will be noticeable after 1-4 weeks. Depending on the indication Liv 52 can be used for a period of 2-5 months or longer. In incidental cases Liv 52, owing to its detoxifying effect, may give some irritation to the skin. The dose can then be temporarily reduced.